The choice of a site for your zero energy home is important, although absolute perfection is almost impossible to find. However, a site on flat land with full sunlight and little exposure to the elements would be ideal. The perfect site would also be close to shopping, services, and transport. The closer you can get to this ideal the better and it will result in better living and lower costs. Access to solar is particularly important and your chosen site’s ability to supply enough sunlight can be assessed by a solar energy contractor who can do a site analysis. If the site can’t provide enough access to the sun’s rays, there are ways your design specialist can make your home as close to net zero energy as possible. The local climate in the area in which you’re building your zero energy home will have a big effect on your design, so consider it carefully. Every different climate will have differing needs for air tightness, levels of insulation, opportunities for daylighting, moisture control plans and many other elements to be considered. Design needs in warm climates require special attention. Orientation is where the building is placed, which areas face the sun on its season path, and also taking wind patterns into account. Good orientation can reduced greenhouse gas emissions and improve comfort as well as increase your home’s energy efficiency. To gain the most from the production of solar energy, your building orientation should be such that it takes full advantage of the angle of the sun during each season for both cooling and passive heating. In Australia, a north-facing solar panel brings a higher yield, so a direct northern roof orientation is preferable. Good orientation takes into account the summer and winter variations in the sun’s path as well as the direction and type of winds, such as cooling breezes. In climates requiring winter heating, northerly orientation is usually desired. This is because the position of the sun lets you easily shade the northern walls and windows and the ground near them in the summer with simple devices such as eaves, and allowing full sun in the winter. North-facing windows and walls get more solar radiation in winter and the opposite is true for other directions. This why, in mixed or heating climates, it’s better to have the longer walls of a home facing north to maximise sunlight in winter and minimise it in summer. Zero energy homes start with smart design. 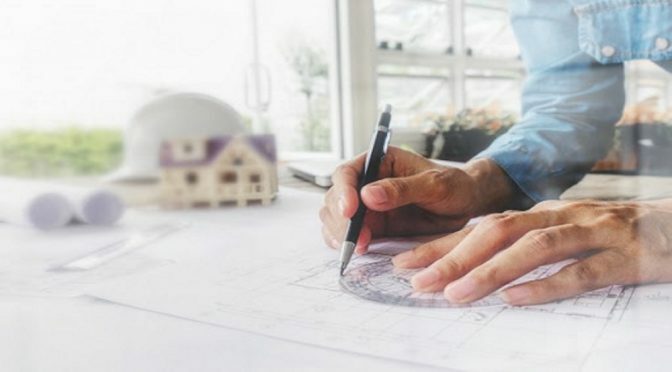 The designer or architect and the builder you choose for your construction should be specialists who are familiar with all the stages involved in building your zero energy home. The zero energy home should be designed well so that builders and subcontractors can carry out each stage as cost-effectively as possible. Clear, frequent and detailed communication between the designer and builder will make sure nothing is left out. Remember though, the biggest positive in all of this is that smarter design doesn’t necessarily add a huge cost to your build. During the beginning of the design concept stage, think about using simple shapes and less of them instead of a lot of architecturally complex, smaller shapes. It’s much less expensive and much easier to build, insulate, and air seal simpler shapes. When choosing a design for your zero energy home, consider how you want to live in it rather than thinking about its resale value. Reducing the size of your prospective home will save energy and fund all the energy improvements. A small family can live very comfortably in a 450 to 550 square metre home that is well-designed, and with storage, functionality, and traffic flow taken into account. A good designer will make sure there is as little air as possible leaking from your building. Super-sealing the envelope is the least expensive and most effective way builders can improve energy efficiency and there are some proven air-sealing methods available, so select one that matches your climate and your budget. The design plan of your zero energy home should have a clearly defined thermal boundary. This means determining what is inside and what is outside the conditioned space. For instance, crawl spaces and vented attics would be outside the conditioned area. Especially in colder climates, the building frame can function as a thermal bridge, which is to be avoided. Such a bridge is formed when there is a low thermal insulation between the outer and inner faces of a wall, which causes condensation to form, which will cause a moisture problem. Try not to have different ceiling heights in your zero energy home; choose either cathedral or flat because it makes it easier air seal and insulate, which will save energy. Doors and windows are like huge holes where energy escapes. Choose appropriate door and window products, and have your designer locate them with care, optimising their size and orientation and have a tight building envelope. The biggest energy guzzler in most homes is the hot water system; that’s after heating and cooling. So it is crucial that your designer and builder chooses the most efficient hot water system technology available, as well as implementing other measures, to minimise hot water energy costs. If you have solar hot water, then your heating costs will be much lower. To meet your goal of zero energy it’s essential you choose cost-effective and highly-efficient heating and cooling systems. Select energy efficient appliances and manage ‘phantom’ plug loads for electronics – phantom loads can be hard to find and keep drawing energy night and day if the devices are plugged in but not being used. Some homes built to zero standards failed to live up to the zero promise because of the wasted energy caused by phantom plug loads. An important feature in zero energy homes is being able to minimise the energy used in lighting while providing sufficient light for the occupants. LED lights are best because they’re much more energy-efficient than CFLs, contain no mercury and last for many years longer. LED lights can also be used to vary the lighting needs for a space and range from a very bright white light to a warm, soft glow. Choosing the right LED lights, placing them in strategic positions, and using as much natural light as possible can drastically reduce a home’s use of energy. If you need a great designer for your zero energy home, Greenhive Eco combines a building designer, an energy professional and a building certifier to deliver quality sustainable projects. Call us on 0433 987 507 or email laurens@greenhive.com.au. We’re open Mon – Fri 8AM – 6PM. Alex Morrison has been a SEO Expert in Melbourne for over 10 years. In this time he has worked with a range of businesses giving him an in depth understanding of many different industries including home improvement, financial support and health care. As the owner of Integral Media he is now utilising his knowledge and experience with his rapidly increasing client portfolio to help them achieve their business goals.